If there is one thing style icon and all-round creative designer Caz Rowland has taught us, it's that the bigger the pant leg, the better the slimming outcome. While things may be going back to the skinnier side when it comes to denim, we're still serious fans of the ultimate-wide-leg-pants, especially in this gorgeous Italian woollen fabric. Shop these gorgeous autumn picks from Cazinc The Label and allow yourself to feel like the ultimate style icon too. 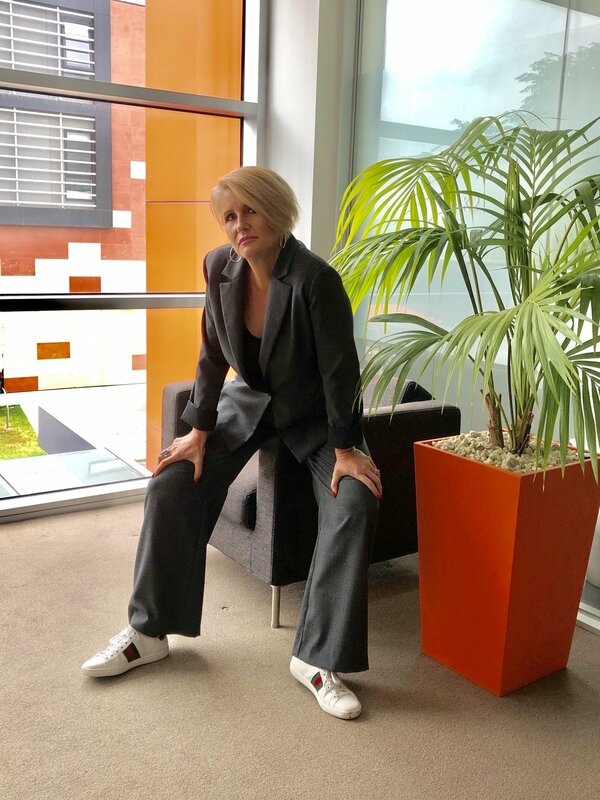 Check out Caz loving her wide leg pants in a casual style, teamed with Cazinc The Labels bamboo tee and matching blazer, with faux leather insert and Gucci runners. Our stunning model Grace rocking the wide leg pants below. Shop your wide-leg pants here. Subscribe for a 10% discount off your first order, be the first to purchase our new stock and receive special discounts, exclusive to subscribers. Apr 1 Why Has Everyone Fallen In Love With These Pants? Apr 11 Who Wears The Pants?